Adai is a speciality of Tamil Nadu and is rich in protein. It can be had for breakfast, snack or dinner. 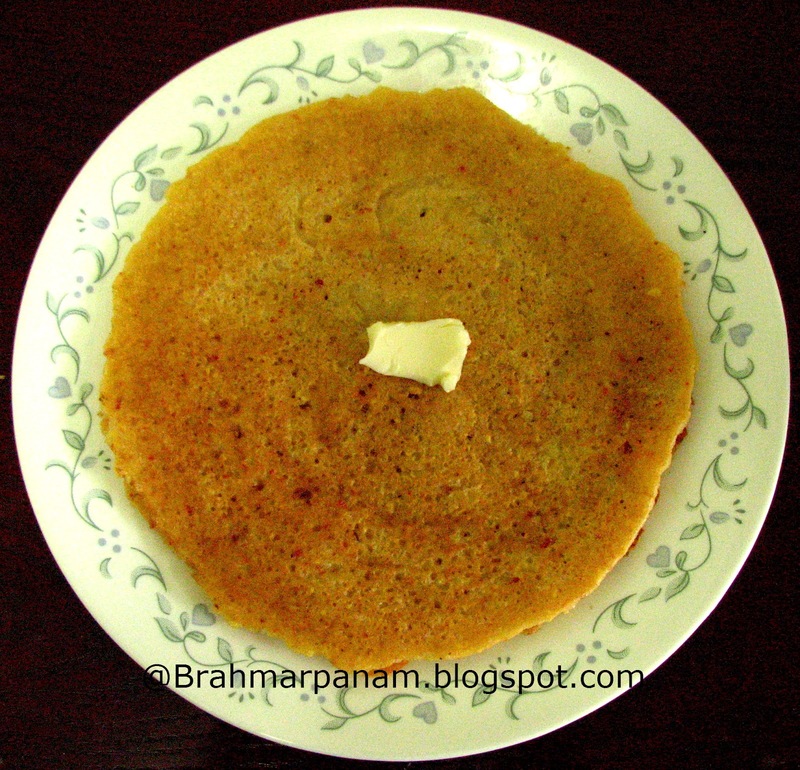 It goes well with Avial, Chutney, Jaggery or just with Butter or Ghee. Soak the Rice and Dals for 2-3 hrs. Drain and add the Rice, Dals, Red chillies, Asafoetida, and Salt to the mixer and grind coarsely. Add only just enough water required to grind. The Adai batter should be thick and not watery. Heat a girdle and add a laddle of batter in the center and spread it in a circular motion. Add a tsp of oil around it. Once the bottom side is done (i.e. when it turns a light golden brown) flip it over and cook the other side too. Once both the sides are done, remove from the girdle and serve hot! Repeat for the remaining batter. The leftover batter can be refrigerated and used within 3-4 days. Add 1/2 cup of chopped greens like Drumstick leaves, Methi leaves, Mint leaves or Coriander leaves in the batter to make tastier and healthier Adais.